The Tla’amin Elders Against Treaty won an unprecedented concession in BC Supreme Court, although it’s hard to spot, on May 21. 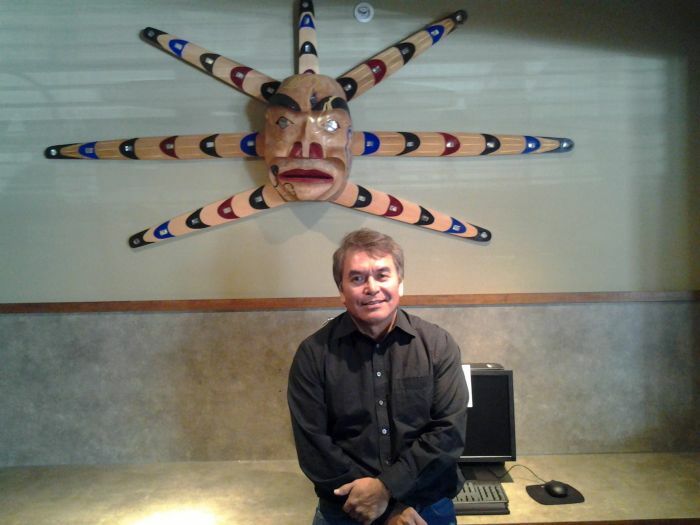 The Sliammon First Nation, their community spelled in the older anglicized way, may have to go to a re-vote on their Final Agreement with Canada and BC, after the new Enrolment Appeal Board has reviewed some glaring problems. Being thrown into question is the eligibility of at least a dozen individuals who have been enrolled as Tla’amin First Nation members. The people in question will not, however, attend that review which will determine whether they should have been enrolled as a Tla’amin Member. They won’t be able to defend themselves because they are dead. They were dead at the time they were enrolled. Perhaps a new vote without them will not result in ratification of the Tla’amin Final Agreement - the vote last summer resulted in the required 57% "yes" to treaty. A vote without them, and without other voters who were neither Tla’amin Members nor Sliammon First Nation members but allegedly friends, colleagues and more distant relatives of employees of the Sliammon Treaty Society who belong to other Bands, may have different results. 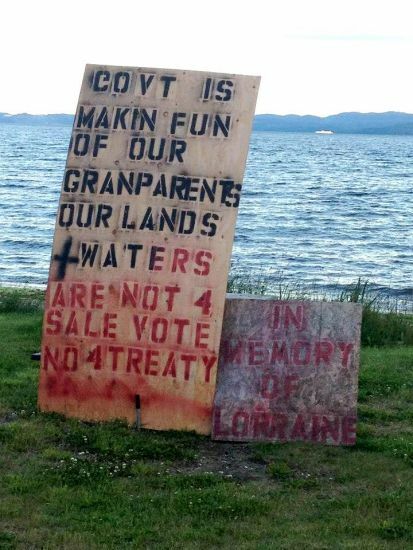 The eligibility and enrolment procedure which the Sliammon Treaty Society used to get its narrow win a year ago has been implicated in a court proceeding brought by opponents of the treaty process within Sliammon. Hereditary Chief Muksamma, Jackie Timothy, led the Anti-Treaty Elders to the wafer-thin court victory: Judge Savage said in court, according to Muksamma, that neither BC nor Canada could ratify the Final Agreement at this stage. His written ruling stated that the newly formed Enrolment Appeal Board can be used by the Sliammon now to answer the Elders’ concerns about votes cast by unlikely Sliammon members. Lawyer Greg McDade praised and defended the Treaty Society’s “A+” enrolment procedure in court last summer, where the Treaty Society defeated the Elders who pleaded for an injunction against the vote. 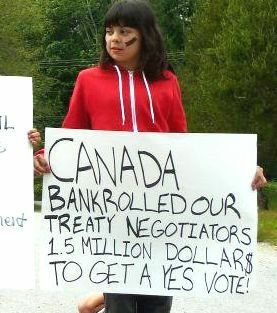 At that time, they had collected 223 signatures on a petition asking for a delay in the voting: “The undersigned strongly believe that everyone on the Band list should have a say on the treaty vote.” Current procedure under the BC Treaty Commission’s uniform ratification chapter is that individual Band members must enroll in the yet-to-be Treaty First Nation, a First Nation which will only exist once the people enrolled in it ratify the Final Agreement, relinquishing their membership in the Indian Band to-be-extinguished, before they can vote on the Final Agreement. There are just over one thousand Sliammon Members. 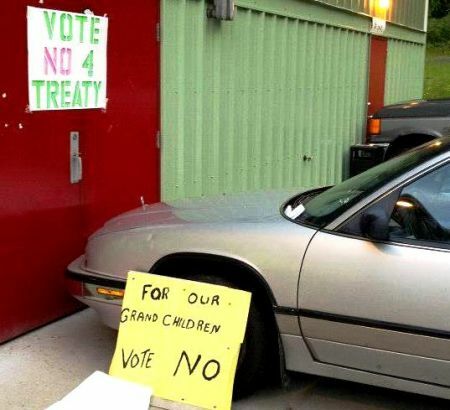 The Sliammon opponents to the treaty actually used their vehicles to blockade the doors to the on-Reserve polling station on June 16th of 2012, creating their own delay, but the court follow-up to get a written injunction was unsuccessful. Although the Sliammon Agreement in Principle had been voted down by a margin of 2% in 2001, McDade managed to persuade the judge that action to stop the treaty was now too late. The Final Agreement provides for 8,322 hectares (83 square kilometers) of Treaty Settlement Lands, and 1,917 hectares of this is existing Reserve land. The deal also includes a capital transfer of $29.7 million over 10 years. Tla'amin Nation will receive an Economic Development Fund of approximately $6.9 million and a Fishing Vessel Fund of $0.25 million. The Tla’amin settlement also includes three shellfish aquaculture tenures and commercial recreation tenures along several creeks.